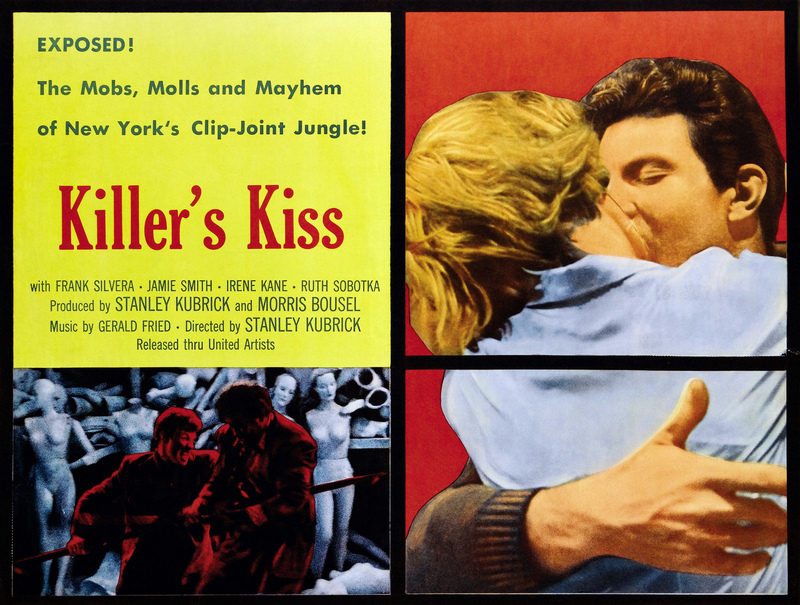 Killer’s Kiss is the second movie directed by Stanley Kubrick, and the last film in which he used his own original script. He made this film on a shoe string budget while on welfare. Even though this is a very cheaply made film, we can see Kubrick’s unique eye and his future greatness. He shot scenes from a back of a truck and from the window of a car to save money on a dolly and shooting permits. The sound had to be re-dubbed after filming, making some of the voice overs look a little funny. Some of the scenes that stand out are the boxing match at the beginning of the film, it looked very realistic and reminded me of the Raging Bulls boxing scenes. 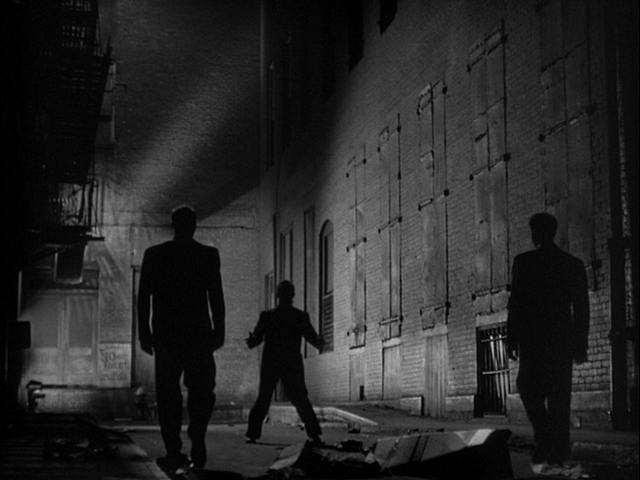 I also liked the thugs in the alley scene, very classic noir style and suspenseful. And the mannequin, ax, fight scene is pretty interesting as well as the short waking up from a nightmare scene. Our story starts out with our protagonist, Davey, in the train station and begins telling his story. Davey is played by Jamie Smith. The flashback starts with Davey in an important number one contenders match with an up and coming boxer. He is beat and goes back to his apartment. He watches his neighbor the femme fatale Gloria played by Irene Kane. He hears her scream and looks into her window to see her being assaulted by night club owner Vincent, played by Frank Silvera. Davey runs to her rescue and our story really takes off. Irene Kane said “Kubrick convinced me to play the girl by explaining that I was going to be a very important movie star, and I thought that might be better than getting a real job at Dunkin’ Donuts.” Though she did some T.V. work and a few other movies, she never became an important movie star. She did do well as a writer, becoming a journalist and co-writing many autobiographies including ones for Rosalind Russell, Alan King, Josephine Baker, and US First Lady Betty Ford. She wrote under the name Chris Chase. Though you can see this is an inexpensive film and the plot is fairly simple, the visuals are very interesting and you can see where Kubrick is going from here. The movie is very short, only being a little over an hour-long. 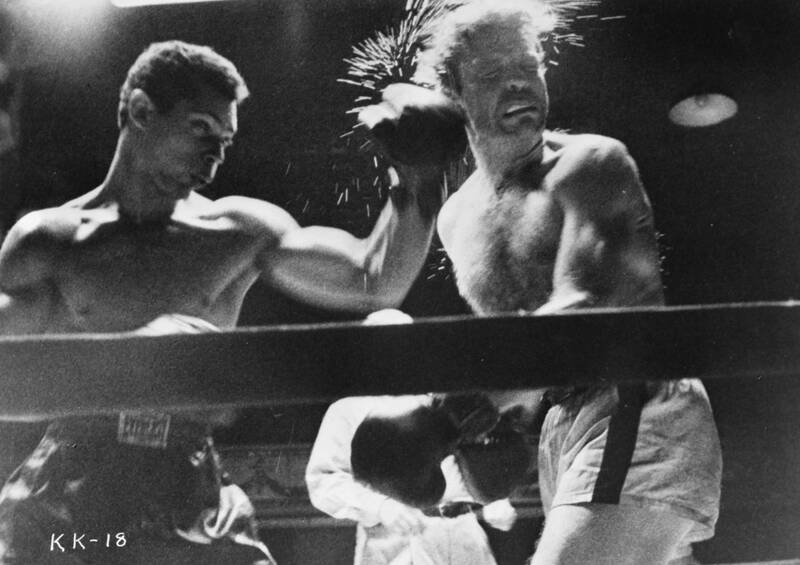 It is definitely worth your time if you’re a Kubrick fan, noir fan, or even a boxing movie fan.